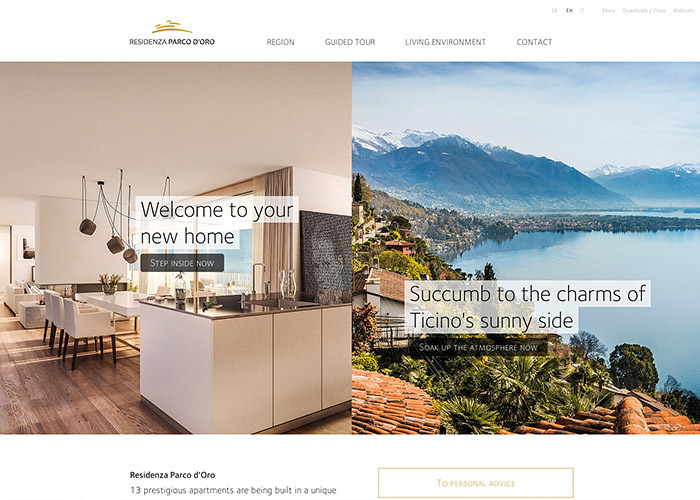 The Residenza Parco d’Oro is situated in the Ascona region, one of Switzerland’s most beautiful places. Visitors to the website can take a virtual tour of the luxurious homes and beautiful surroundings, enabling them to enjoy the atmosphere and walk through the prestigious apartments. Welcome to the Residenza Parco d’Oro.